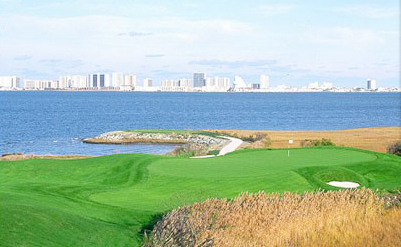 Bluewater Golf Getaway and Golf Pro Josh Esworthy are ready to help you plan your next Ocean City golf trip. We can arrange your transportation to and from our famous resort town and the whole time you are here, too. We’ll secure your tee times at the most popular courses, ensure that your condo accommodations are comfortable and clean, and recommend and reserve your seating at the city’s most popular restaurants and nightclubs. Josh is an experienced Golf Pro and 15-year resident of our salty sea town. He knows the courses, the weather, the best times to golf and the best times to eat. He’ll plan as much of your golf getaway as you like. All you need to do is decide whether you want to hit driver or an iron on the first hole. Josh can work with you and your group to customize your entire vacation. Want a power breakfast delivered to your condo each morning—no problem. Want to check your clubs when you get here and have them arrive at each course you visit—you got it! Want to bring along your spouse or the whole family for an extended weekend—he can arrange fun-filled days for them, too. Every detail is managed and tailored to meet your needs. Don’t leave your golf getaway in the hands of amateurs. Let the pro handle it.